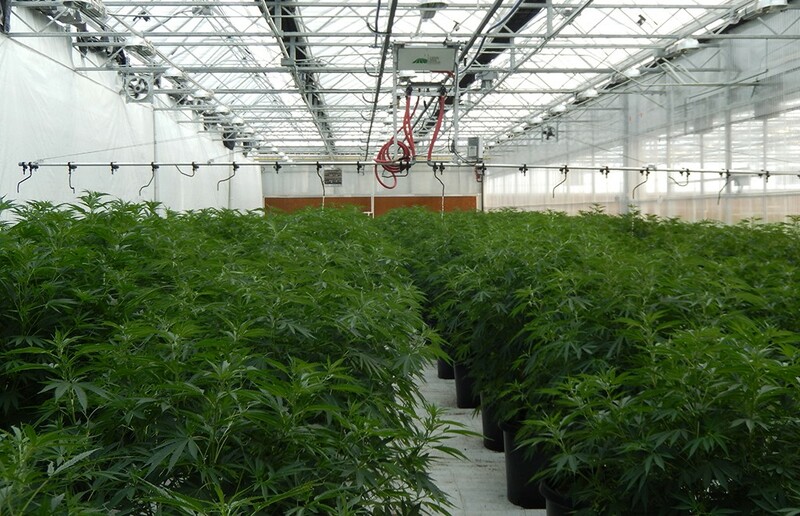 A Denver-based company that builds greenhouses for marijuana growers and has raised more than $15 million from investors has filed for Chapter 11 bankruptcy. The company listed assets in the $1 million to $10 million range. GrowCo was previously a subsidiary of Aurora-based Two Rivers Water & Farming Co., which owns a significant amount of water rights in the Arkansas River Basin in southwestern Colorado. After initial publication of this story, Two Rivers CEO Wayne Harding said in an email that the GrowCo ceased to be a Two Rivers subsidiary in April 2018, but that Two Rivers still owns approximately 25 percent of GrowCo stock. In 2015, The Denver Post reported that GrowCo had secured 160 acres east of Pueblo, and planned to build four sets of 91,000-square-foot greenhouses and 15,000-square-foot warehouse/processing facilities. GrowCo is led by CEO John McKowen, according to the bankruptcy filing, and lists its principal place of business as a home in Cherry Creek. McKowen purchased the home for $2.14 million in 2007, according to property records. GrowCo disputes the largest claim against the company, for $2.12 million by Blue & Green LLC. That entity sued GrowCo in January 2018, saying the company had defaulted on that amount in loans. Thomas Prasil Trust of Paradise Valley, Arizona, is the one other creditor with a claim greater than $1 million. GrowCo’s website is no longer active. David Wadsworth of Littleton’s Wadsworth Warner Conrardy is representing the company in the bankruptcy proceedings. An email sent to Wadsworth Monday morning was not returned. Correction: This article has been updated to state that GrowCo ceased to be a subsidiary of Two Rivers Water & Farming Co. in April 2018, according to the CEO of Two Rivers.